Sid is a psychic medium that resides in a suburb of New Orleans. Sid is also the owner of the Metaphysical Resource Center in Metairie and has a YouTube channel called Metaphysical Moments which he hosts. He has co-authored the book "Seance Experiments" with Kalila Smith. 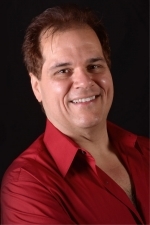 He offers tarot readings, intuitive readings, mediumship readings, numerology readings and a combo session that has a taste of all the previous styles. Sid is an international traveler and has studied in many places around the globe. Sid's most popular venue is a Spirit Gallery for a group of people. These galleries can be held at your home, his Center or via Skype in some situations. If you are looking for a real down to earth session Sid is your choice. Tarot Readings: These readings are for people who are looking discuss their past, present and future life. You will be taken on a journey and we will look at the many paths that you have and will cross. We will discuss many life situations and assistance to provide the desired outcomes will be discussed. Intuitive Readings: These readings are done without cards and a discussion between you and Sid about your life will take place. Sid will connect intuitively and Spiritually to look at areas that need to be discussed. Guidance will be given so that the highest and best intentions can come forth. Mediumship Readings: Sid will connect with a loved one in Spirit. Please note that there are no guarantees that a specific loved one will be present. Sid will read which Spirit comes. If there is a specific loved one that you want, after the first validations Sid will attempt to connect to a specific loved one. Numerology: Sid will use Pythagorean Numerology to create a chart. He will also create a binder and/or email the pages of numbers that will contain the meanings of all the stationary numbers (numbers that don't change in your chart). After you receive your chart he will then go over all the number patterns and their meanings and give insight to where you have been in life and where you are heading over the next 5 years. Combo Reading: As Sid calls it, it is his "Lagniappe" Reading. During a tarot reading, Sid will tell you who he is connecting with Spiritually and will discuss your Life path number with you. This is a very popular reading. Spirit Gallery: A 2 hour event where Sid will connect with loved ones in Spirit for a group of 6 or more people. These are great for parties or events. This is the most requested event. A Gallery has a minimum 6 max 25. All will get some type of reading during the event. Those who do not get a loved one in Spirit will receive a psychic reading of some sort. The cost is per person and depends on many factors. Please contact Sid for pricing. Disclaimer: Please note that readings and meetings with Sid Patrick are for your enjoyment and entertainment purpose only. If you are looking for advice please seek someone in direct contact with your issue. There are no certainties with a reading and many perceptions are made by the recipients. Be advised that psychic readings cannot predict, forecast or provide definite information. Where do I begin... My readings with Sid are truly a gift from God. When I first started exploring the metaphysical world, I wasn't sure what to expect. In my first reading, Sid told me things I had never said out loud. He confirmed what I had always hoped, that my loved ones were still with me. The messages that Sid delivers from my loved ones are so accurate and detailed, its truly a heartwarming experience. I urge anyone looking for a trustworthy medium to contact Sid, he is life changing! Wow! I will never forget the moment Sid looked at me from across a table and said, "You lost your mom. She's right beside you." And then he proceeded to confirm things about her and myself that no one could know. Then he gave me the exact guidance I had been looking to hear. Sid is a one of a kind person, with an equally unique heart. To the point, he doesn't mince words! The clarity about my life I received in one sitting was amazing. I've known Sid for over 3 years and consider him to be a trusted source for connecting with our loved ones. He's fair and honest on the business side, but accurate, compassionate and quite entertaining in his readings. I've had both private readings and have hosted galleries for friends and family. It's a very therapeutic, healing experience and a great deal of fun! I had a reading with Sid a few days ago. It consisted of 10 guests. Each and every person had a deceased loved one come thru. This was my first time visiting a medium. I was amazed, as well as the others. Things were known and said that were impossible for him to know. It was clear this was the "real thing!" Loved ones came that I really wanted and felt I needed to hear from. I will definitely see him again for a private session, that way we have more time and could go more in depth. Sid Patrick is phenomenal-as a psychic, a medium and a fellow human. Still in the throes of grief at the loss of my mother, I was convinced for the first time that she is still with us, when Sid Patrick brought me irrefutable evidence of her continuing presence. Who could possibly have known, for example, that she and I once flew a red kite with a little, black dot one breezy day long ago? It is Sid who led me to finally "BELIEVE". Please, please don't miss out this marvelous spirit! I was looking for someone to help me develop my own mediumship skills, so I scheduled a reading with Sid. He connected with a recently deceased family member, and easily spent the hour giving many accurate details. I've had several readings with other mediums, so I know the difference between a good reading and a not so good reading. He's the real deal, and I'm now studying with him. Had a great reading in Houma with Sid and looking forward to more in the future.